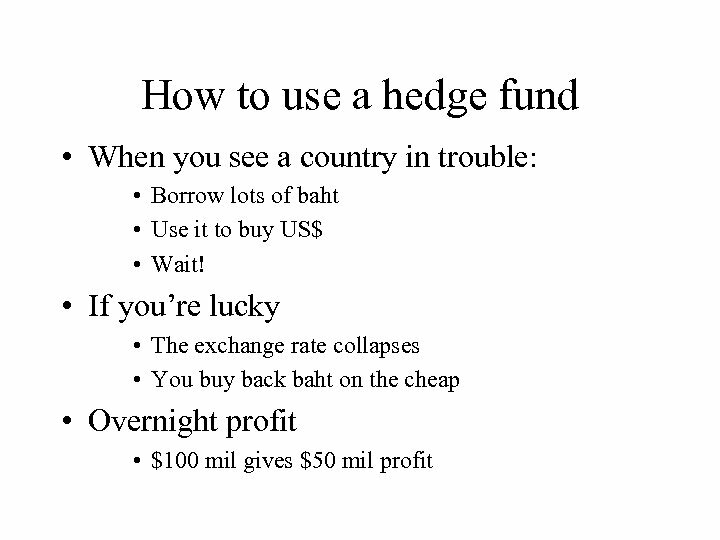 Pegs • Fixed exchange rates • Trade dollars (baht) at a fixed rate (B 22. 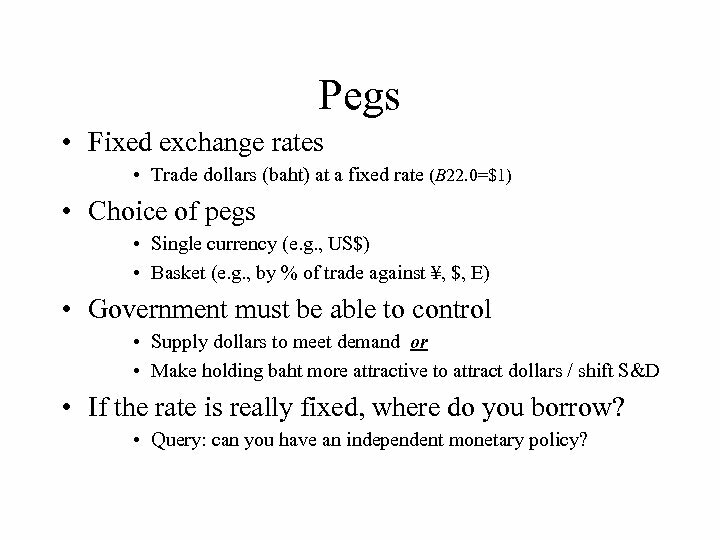 0=$1) • Choice of pegs • Single currency (e. g. , US$) • Basket (e. g. , by % of trade against ¥, $, E) • Government must be able to control • Supply dollars to meet demand or • Make holding baht more attractive to attract dollars / shift S&D • If the rate is really fixed, where do you borrow? 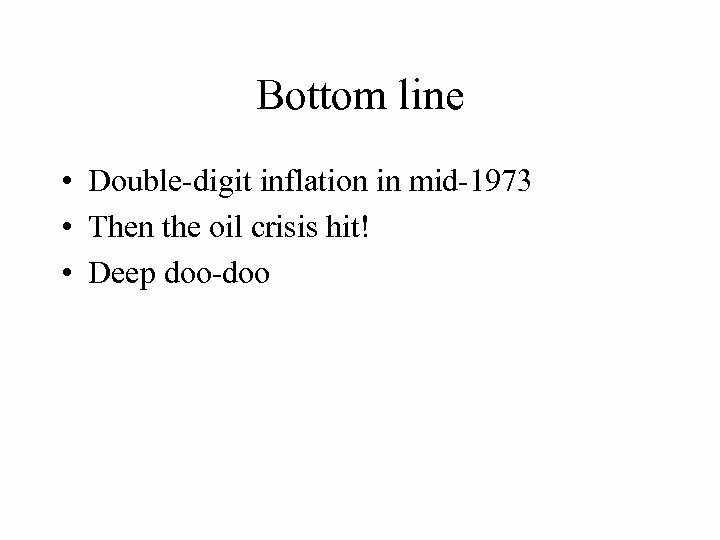 • Query: can you have an independent monetary policy? 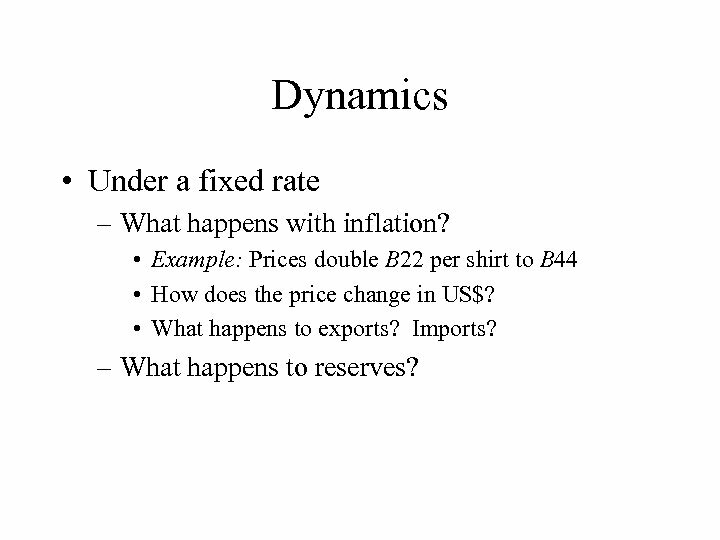 Dynamics • Under a fixed rate – What happens with inflation? 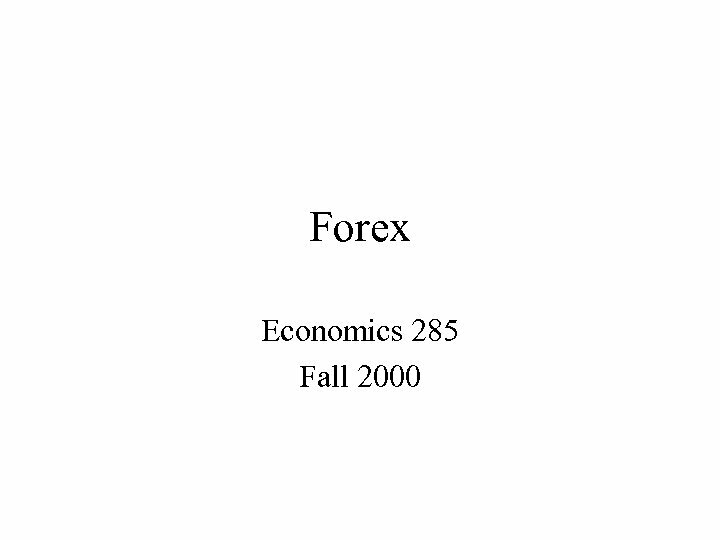 • Example: Prices double B 22 per shirt to B 44 • How does the price change in US$? 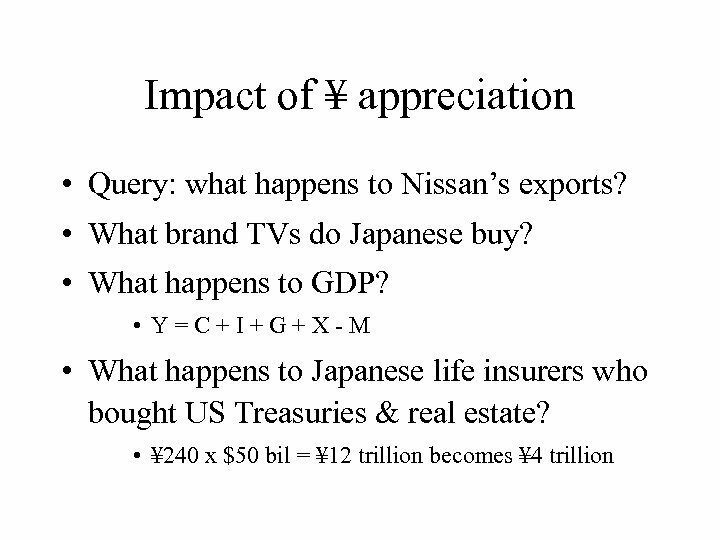 • What happens to exports? Imports? – What happens to reserves? 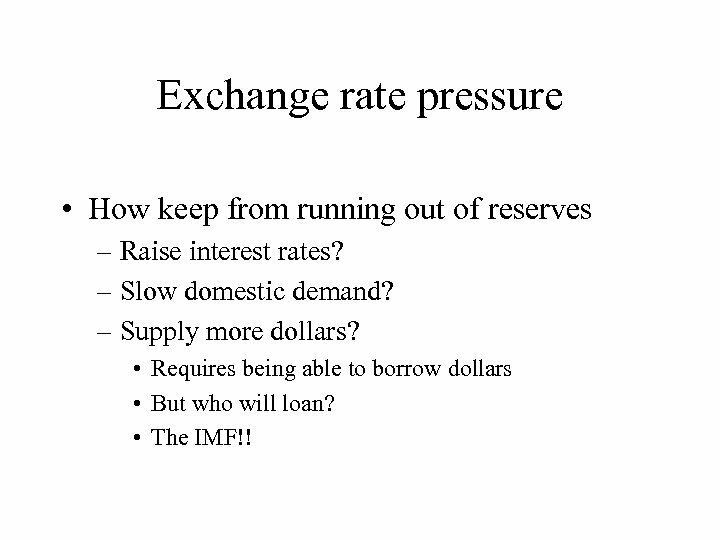 Exchange rate pressure • How keep from running out of reserves – Raise interest rates? – Slow domestic demand? 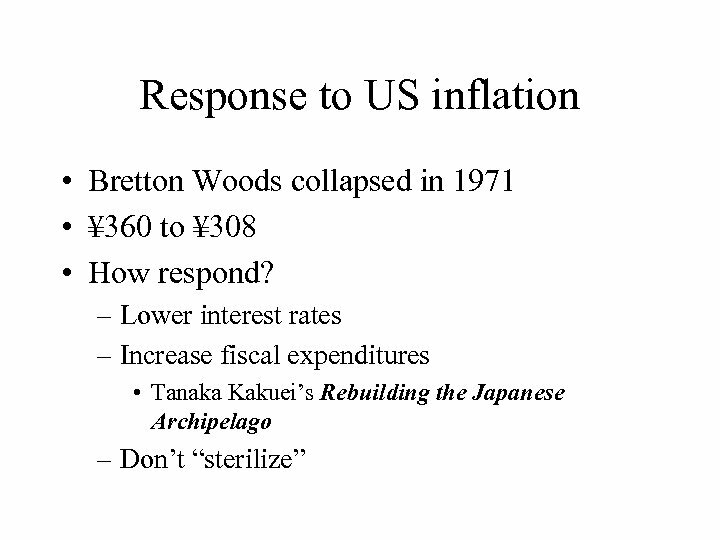 – Supply more dollars? • Requires being able to borrow dollars • But who will loan? • The IMF!! 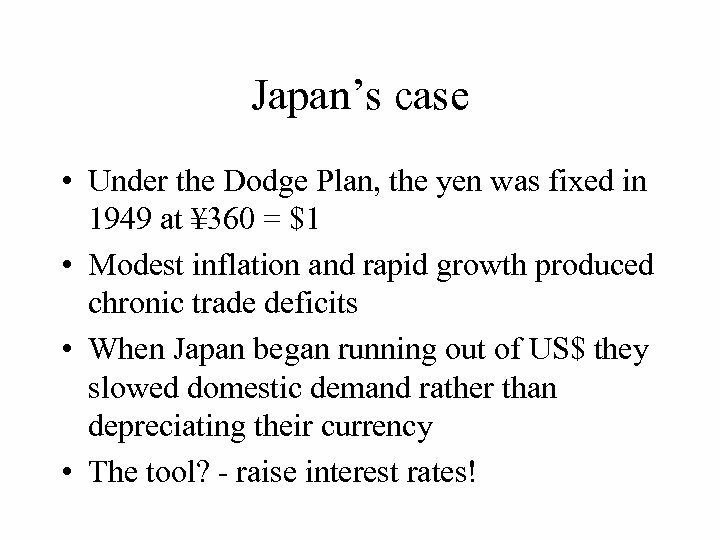 Japan’s case • Under the Dodge Plan, the yen was fixed in 1949 at ¥ 360 = $1 • Modest inflation and rapid growth produced chronic trade deficits • When Japan began running out of US$ they slowed domestic demand rather than depreciating their currency • The tool? 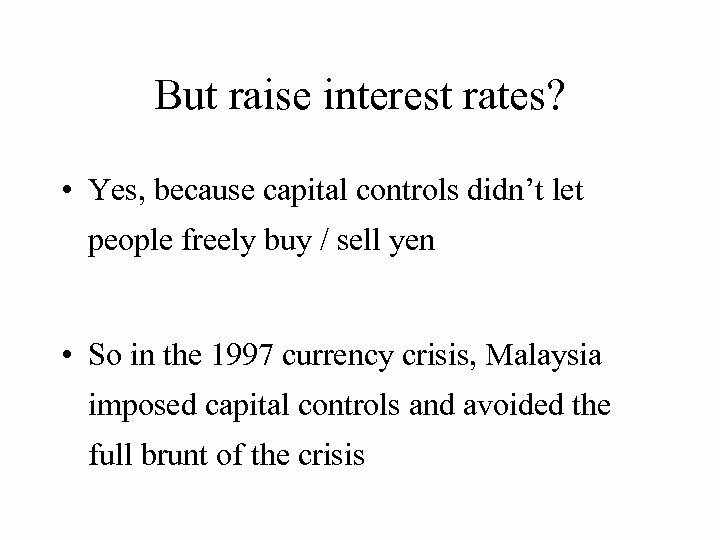 - raise interest rates! 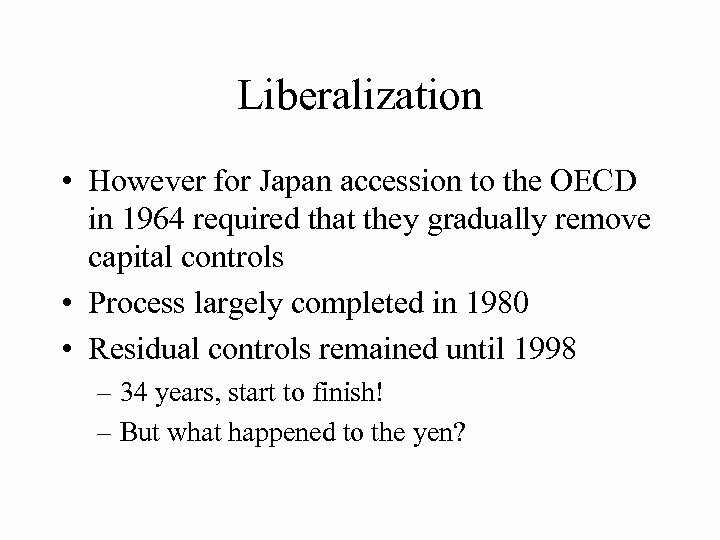 Liberalization • However for Japan accession to the OECD in 1964 required that they gradually remove capital controls • Process largely completed in 1980 • Residual controls remained until 1998 – 34 years, start to finish! 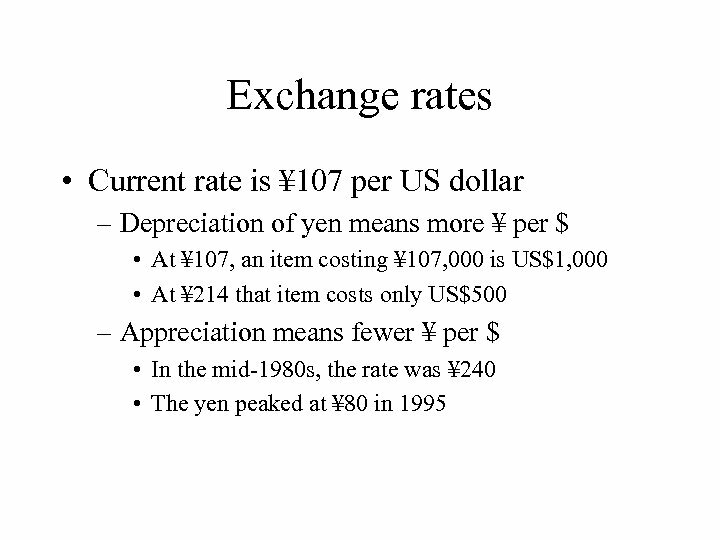 – But what happened to the yen?